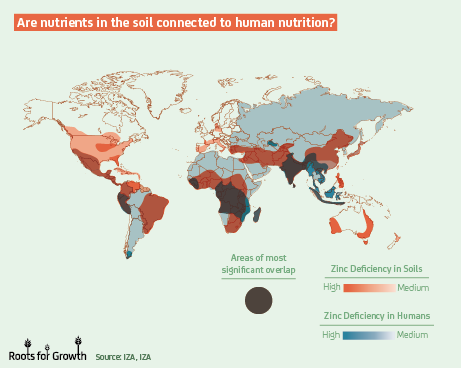 Are nutrients in the soil connected to human nutrition? 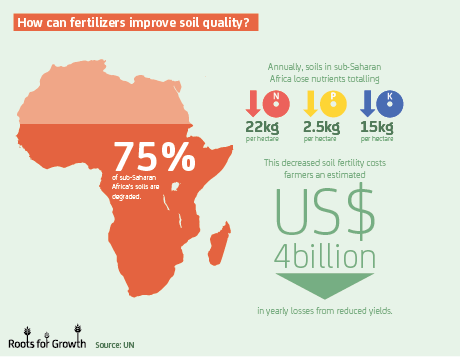 Micronutrient-enriched fertilizers increase soil fertility, helping to boost yields and improve health. 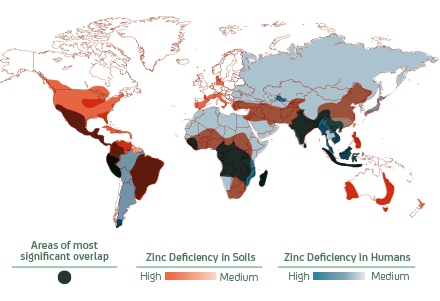 For instance, there is a strong correlation between zinc deficiency in soils and zinc-related illnesses in humans, especially in Peru, sub-Saharan Africa and south Asia. Zinc fertilization is an innovative product to fight malnutrition by adding zinc to fertilizers. How can fertilizers improve soil quality? 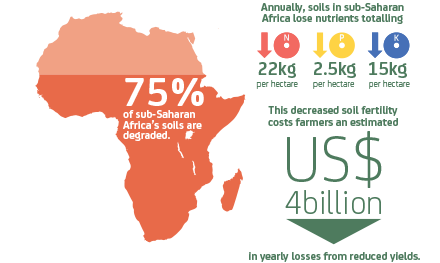 In many developing countries, especially in sub-Saharan Africa, degraded soils are becoming less productive. This is often because farmers lack access to sufficient fertilizer, either organic or mineral. The low use of inorganic fertilizer is one of the main cause of environmental degradation in Africa. 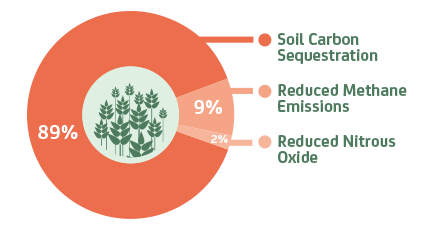 How can soils help sequester carbon? 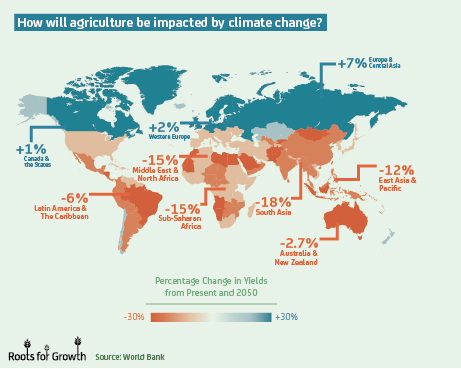 Modern agricultural practices, such as the use of fertilizer, have helped reduce greenhouse gas emissions by 34% by increasing yields per hectare. 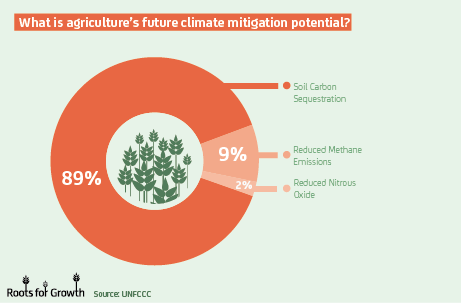 Healthy soils can also sequester carbon, further mitigating climate change. 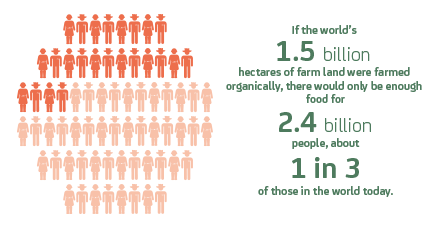 What is the role of organic farming in agriculture? In many countries, especially in the developing world, the availability of organic sources of fertilizers is insufficient to meet crop needs. They also deliver far fewer essential nutrients per unit weight than mineral fertilizers.